Need help finding a new restaurant? Download one of these restaurant-finder apps. Each one takes a different approach to dining out, so try them to find the app that works best for you. Almost all of the apps listed below cover major Canadian cities, some of the smaller, rural areas in Canada and all the US. They are also all FREE, which is always a plus. If you want to know which restaurants in your area have space for your dinner party, OpenTable is the app for you. Enter the number of people, date, time and location, then hit search to get a list of all the restaurants in the area that can accommodate your party at that specific time. The downside is that it only features restaurants that participate in the OpenTable reservation program. Top chefs, bartenders, butchers and food connoisseurs provide the recommendations for all the restaurants, so you know you’re getting the inside scoop when you’re searching for a new place to eat through this app. Unfortunately, this app hasn’t quite expanded much farther into Canada than Vancouver, Whistler, Toronto, Montreal and St-Benoit … hopefully if the demand is there, they’ll branch out to other Canadian locations. Zomato provides a more social experience — you can add restaurants and friends to your feed to see where and what people are eating, read reviews and get suggestions for your next date night. The downside is that there is a bit much going on in the app, so it can be a touch overwhelming. Think of this as Instagram specifically for food and only food. The feed features photos of the “best dishes” from restaurants in the area. 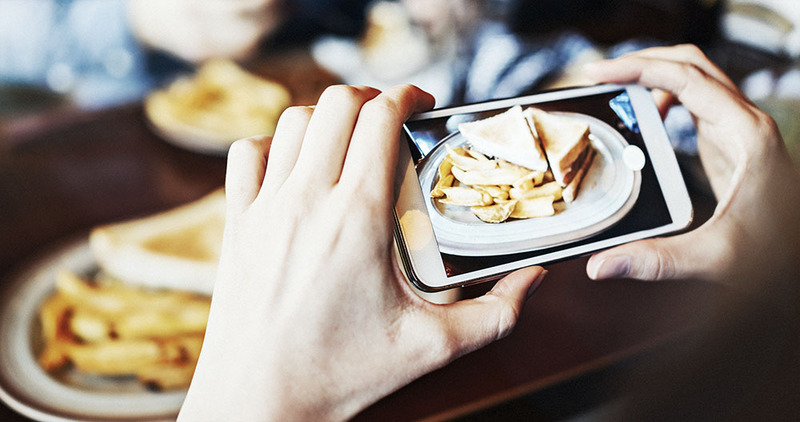 Double-tapping on an image gives you details about the dish, location of the restaurant and the option to see other dishes from that restaurant. The slightly annoying aspect of this app is that you have to click “find on Yelp” to see user reviews and other details about the restaurant itself. Yelp and Foursquare are also big names in restaurant reviews, but they’re more general-purpose business-finder apps. They’re mentioned honourably because they are helpful for reviews, ratings and suggestions.